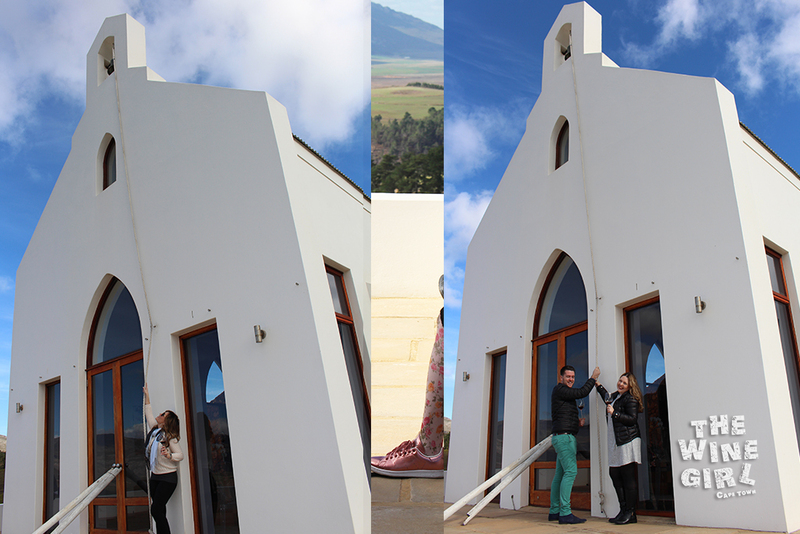 What a lovely little chapel on a hill at number 65 of 800 – Ataraxia in Hermanus Wine Route, Hemel en Aarde valley. 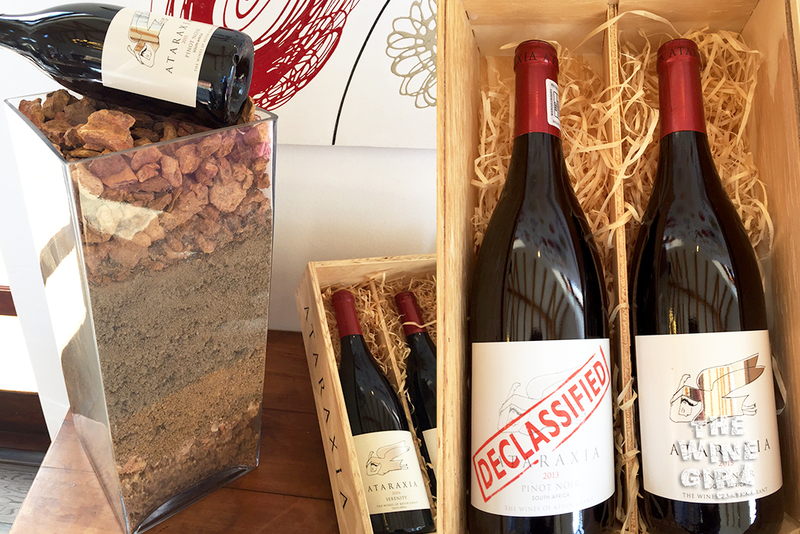 The 47-hectare prime vineyard property was bought in 2004 and a boutique wine lounge was built, literally on top of a little hill. You can actually see it from the main road so do make a point to visit. BOOKINGS: No need to book unless you are a large group. 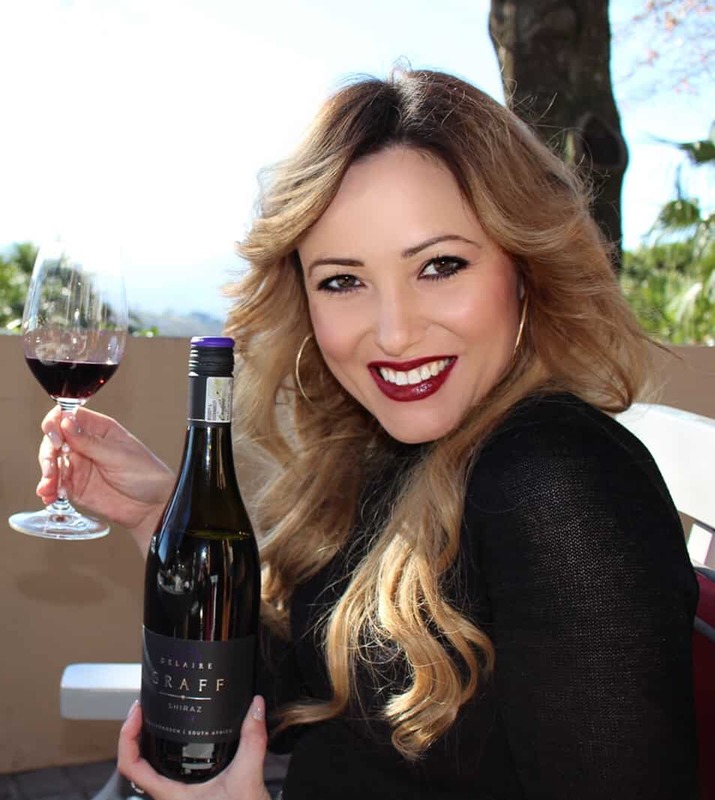 WINE TASTING: It’s R35 to taste 4 wines. WHEN TO GO: Summer or Winter. 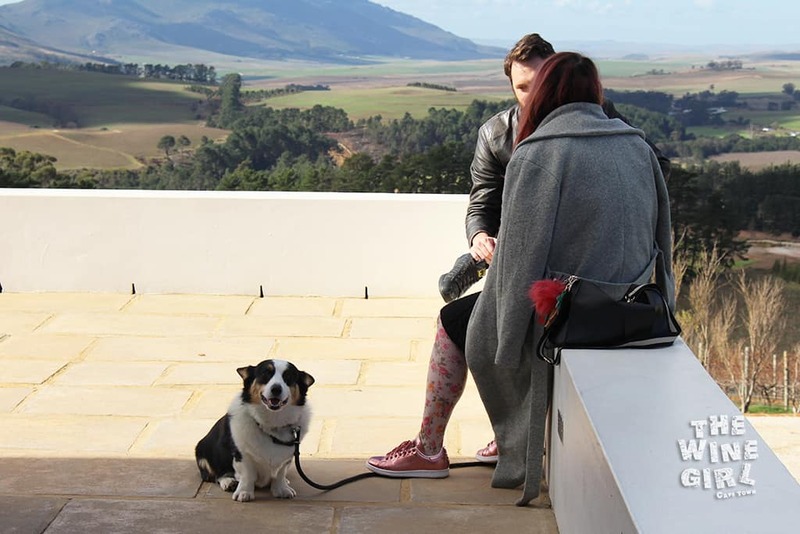 Really an every season type of wine farm with plenty of options where to sit. SERVICE: There is friendly and relaxed service. RESTAURANT: No food at this wine lounge. CHILD/PET FRIENDLY? Not recommended for kids or pets. 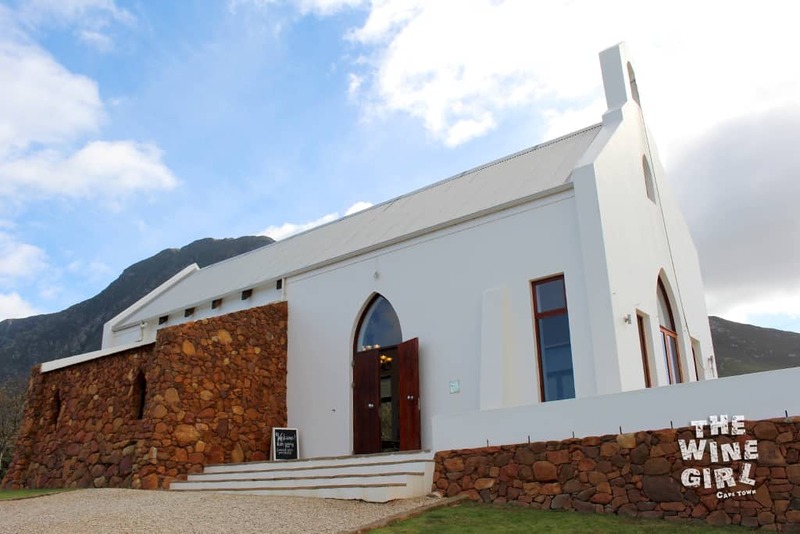 LOCATION: About a 1.5 hour drive from Cape Town in the Hermanus Hemel en Aarde region. Google Map There is a rather long and meandering, gravel road to get past. This wasn’t a planned visit but I just couldn’t resist this cute little chapel! 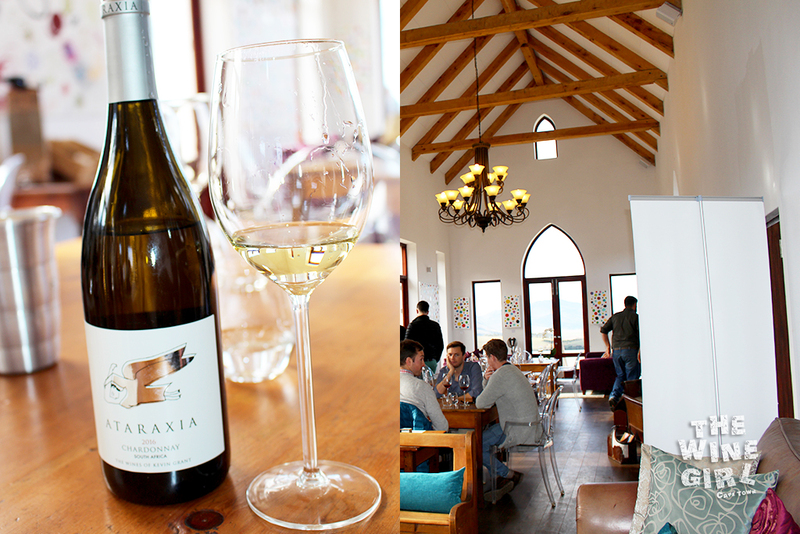 It was only R35 to taste 4 wines, so make this one of your in-between stops before visiting one of the neighboring farms like Creation. The tasting room is very modern. You can choose from various types of seating, from lounges, benches and stools. 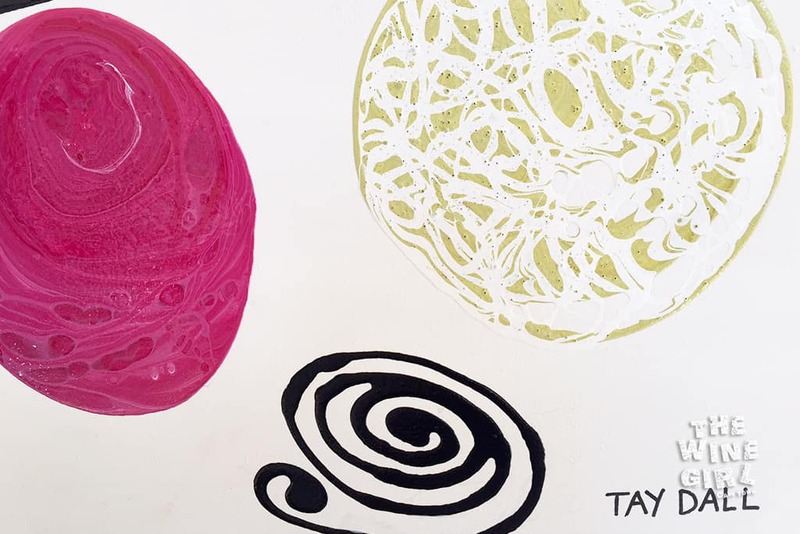 The tasting room displays beautiful art by Tay Dall. There are 4 wines up for tasting. 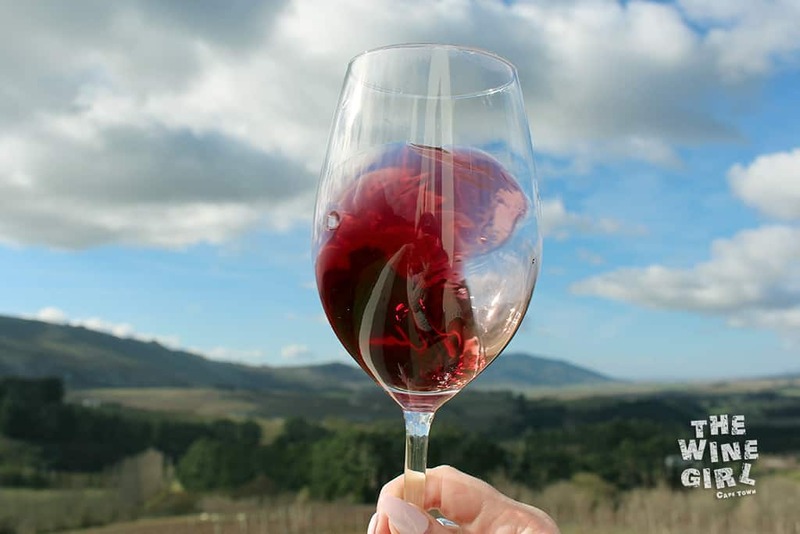 A Sauvignon Blanc, Chardonnay, Pinot Noir and Serenity Red. 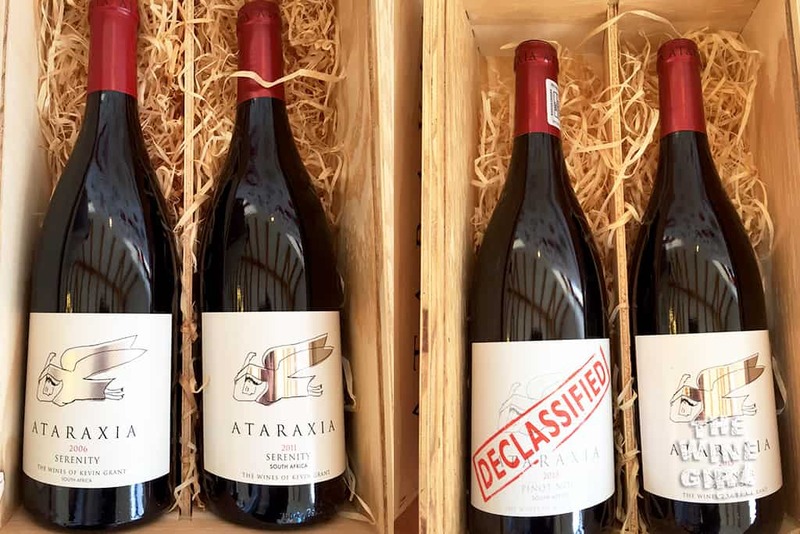 What’s interesting is that there are actually fourteen soil types on Ataraxia derived from the deposits of Table Mountain Sandstone, Cape Granite and Bokkeveld Shale. 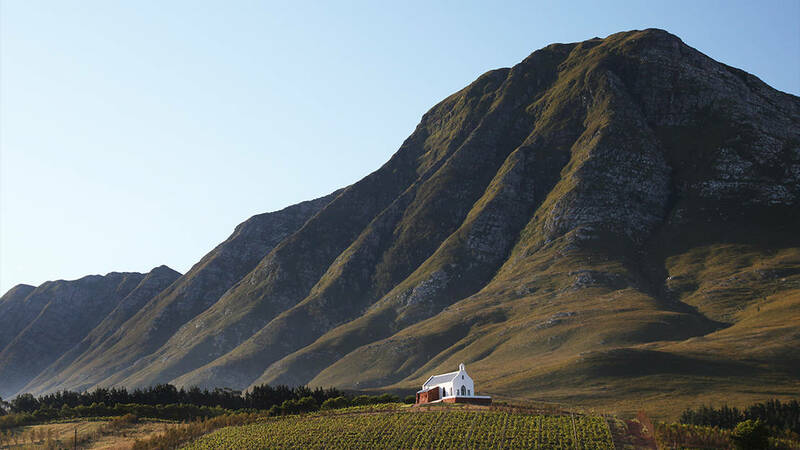 Collectively, these deposits make up the geology of the Hemel-en-Aarde area and can be traced back more than 1000 million years. I really enjoyed this dry and well balanced Chardonnay. It had hints of grapefruit but also had a bit of tropical and nutty aromas in there too. On the palate, it was buttery but also had a good fruity minerality to it that lingered on your palate. 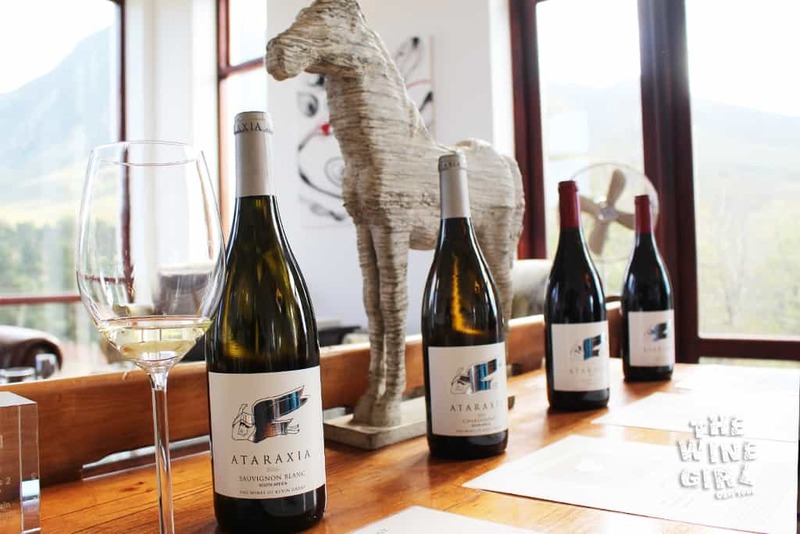 Its quite expensive for a Chardonnay at R250 a bottle, but this is to be expected given that it is a boutique wine farm in a region that produces great Chardonnay. The Serenity was really good too. 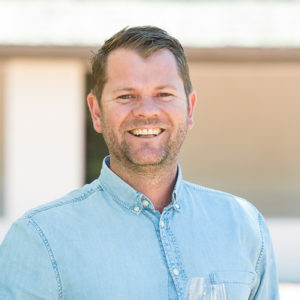 It was a unique blend of Pinot Noir, Cinsaut and Pinotage. Just bursting with dark berry and spicy earth flavours. It filled all corners of my mouth with a vibrant entry. It would be excellent with meals like ostrich steak and chips hmmm. 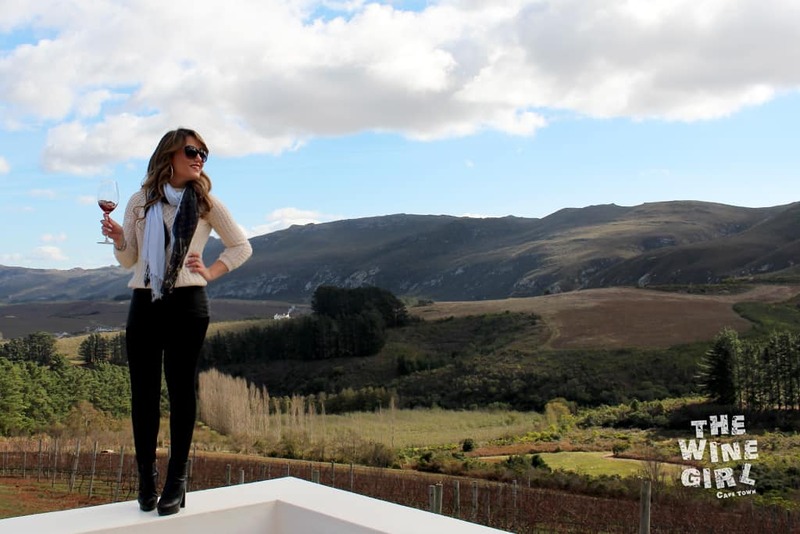 There isn’t any food sold here, just amazing views of the country and good wine! Be sure to ring the bell once you are done with your tasting 🙂 – yes, I’m now married to wine. It was at this stage, I noticed there was a witness, a dog enjoying some wine too haha!